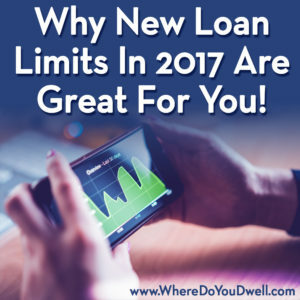 Why New Loan Limits in 2017 Are Great For You! The holiday season just kicked off with one gift that homebuyers are going to love all next year — an increase in the DC metro’s conforming loan limit from $625,500 to $636,150. The Federal Housing Finance Agency (FHFA) increased the national conforming loan limits for the first time since 2006, including a bump in baseline limits from $417,000 to $$424,100 for many other U.S. markets. These new loan limits will take effect on January 1, 2017. And what better way to start the New Year with some motivation for you to reconsider your own housing situation and possible loan options. Higher loan limits will create more borrowing opportunities for you – whether you’re a potential homebuyer or a homeowner seeking to refinance — since your access to conventional loans will be opened up. It’s also a plus for sellers too. Your home will be easier to sell at a higher price because the new increased loan limits will improve affordability for your potential buyers. Why? Because the conforming loan limit is the maximum amount you can borrow and still qualify for flexible, often lower-cost loans with usually less stringent underwriting AND that are backed by the federal government (Fannie Mae and Freddie Mac). This is good news for buyers working with lenders who can offer such loans, especially if you are in looking at a home above the $600,000 price range. A jumbo loan, with its higher interest rates and more rigorous requirements, will not be homebuyers only option now. And if buyers have access to higher loan amounts through conventional lending, that’s all the better for sellers this coming year. The fact that FHFA increased the baseline conforming loan limit means that the average U.S. home price has increased. This agency bases its decision on the quarterly Housing Price Index, which is up 6.1% over the past year. That was enough to push it above the last baseline loan limit. This decision also demonstrates that most counties in the U.S. (2,912 of the 3,146) have seen home prices increase and have seen home values go up. That means there is more confidence in housing markets nationwide since the bubble burst several years ago. 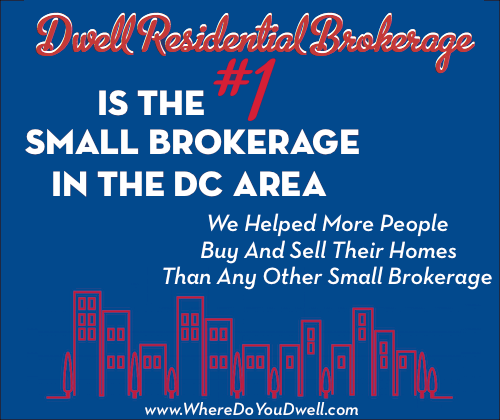 Good news for homeowners and sellers here in DC and across the country! More counties and neighborhoods are experiencing growth and stability and that’s a positive momentum even for our region, which saw stronger numbers much earlier. Please contact us if you have any questions on how these loan limits can help you with a home purchase or refinancing!